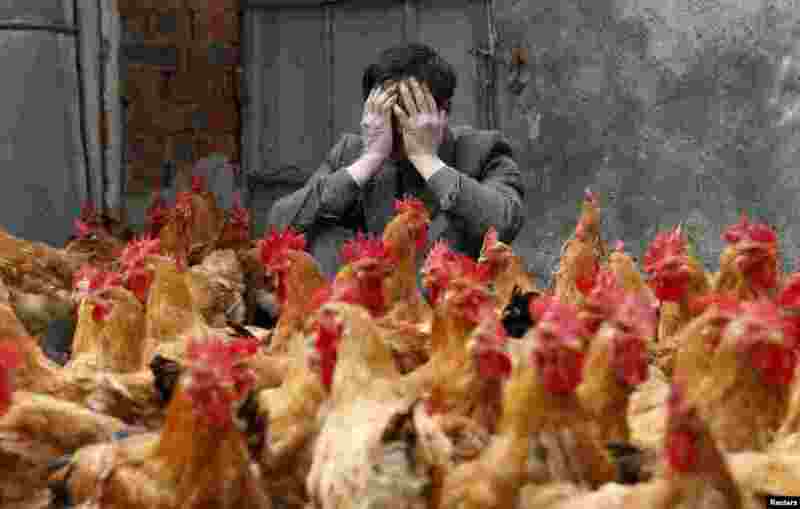 6 A breeder covers his face as he sits behind his chickens, which according to the breeder are not infected with the H7N9 virus, in Yuxin township, Zhejiang province, China. According to chicken breeders, their businesses are strongly affected as all six local poultry markets in Yuxin are closed for preventing the transmission of the virus. 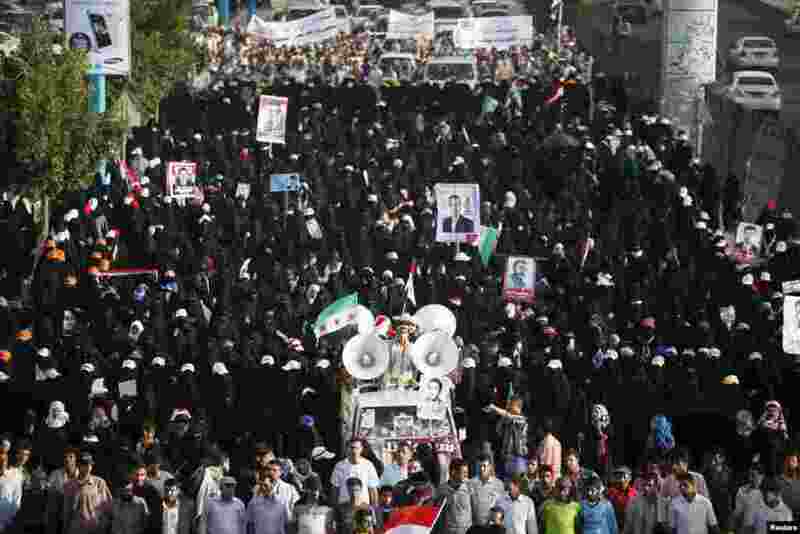 7 Women pro-democracy protesters march on a road past the house of Yemen's President Abd-Rabbu Mansour Hadi, during a demonstration to hail a military shake-up he carried out, in Sana'a. Hadi removed the commander of the elite Republican Guard, a powerful political foe, from the military, state television reported, in an apparent move to unify the divided armed forces under his own control. 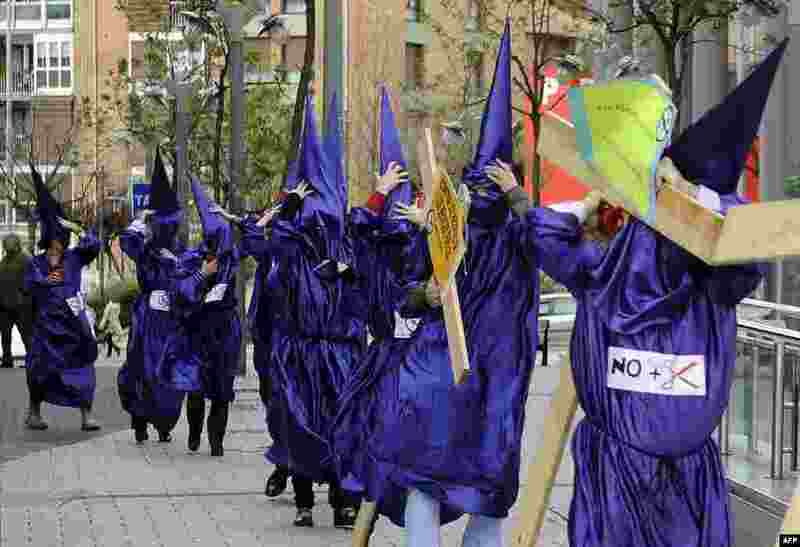 8 Justice civil servants of Baracaldo's court wearing penitents costumes and carrying wooden crosses take part in a protest against the government's spending cuts in justice services, outside the court in the Northern Spanish Basque city of Baracaldo, Spain.